I was facing some problems of the last year when the Magento store was loading very slowly and because of the load of projects It was difficult to manage time for everyone in a day. I found the best Magento hosting providers that others because now on the single platform I managed 100 Magento stores without going to any other platform, moreover, it is easy to set up files and links http, ftp and other technical workstations. You can run 100 or 1000 eCommerce sites on shared hosting but you can face problems on loading, that's why more people went with a VPS hosting. I used Magento and Wooecommerce to build stores and I realized that these platforms consumed more RAM from server thus a VPS 8+ GB ram is ideal to run eCommerce sites. I would suggest a few providers that I found on this forum. There are tonnes of issues with shared hosting hacking, downtime, spam list goes on. Unlimited bandwith is the amount they allow. Can kill any server in a day. 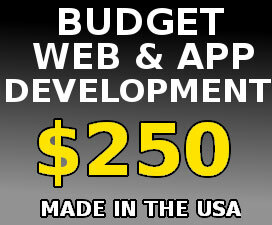 You get what you pay for popular sites on shared hosting also cap income opportunities. 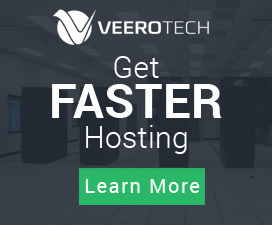 Need to decide whether you want a dedicated server or to lease a real backbone connection. Hard to decide which way you upgrade if don't have traffic yet or when server is already crashing and want to service your customers. Magento is fairly heavy on the back end in terms of the database. Using Magento with a lot of items on a normal (non high-resource) plan is likely to be painful, no matter the host. VPS and Dedicated Servers with 4core and 4GB are good options to host Magento stores. Shared hosting is the most affordable because you are renting just a portion of the server space. The most important issue is the slow speed of shared servers that translates into slow performance. Moreover, if you foresee growth in traffic, shared hosting solutions do not scale well with the increasing traffic. Magento is specifically heavy on the backend. Running Magento on shared hosting may result in the site running slowly and may affect your customers' experience.. I would highly recommend you to choose Cloud hosting for a optimal performance. What are your recommendations for a web hosting to run good with Magento? Honestly I am running WP with wooecommerce plugins and I felt it is pretty heavy to load web pages. Woocommerce is as well, especially on a non-optimized site. Short of a VPS with a few GB of RAM, I'd recommend looking at a higher resource shared/enterprise plan with a hosting company where the plan has more RAM/CPU than a standard hosting plan. Woocommerce is as well, especially on a non-optimized site. What is a Woocommerce optimized site? Is there a plugin for this job? Have you tried using Cloudflare or CDN services to speed up image rendering? This offloads lot of I/O off hosting servers. 2) 100 sites with Shared hosting environment is cost effective. Need alternative that is cost effective. I would consider choosing dedicated servers with SSD and lots of memory. But this comes at the cost of configuring and hardening servers on your own. I can suggest using VestaCP a try(but make sure that admin port(8083) is not open to public). Try caching hosting template. Static files are cached(in memory) and rendered by nginx, and dynamic part is rendered by apache. There are some vendors like OVH, Hetzner or try SSD cloud vendors like vultr, linode, digitalocean, scaleway. VestaCP seems having problems about security recent months and I would suggest go with a paid hosting control panel as cPanel or Plesk. Especially, Plesk is pretty cheap and more features to serve websites run smoothly. I would recommend looking for some higher sources. If your website is utilizing more space, you may face issues with other web hosts as well. Shared Hosting is Basic Level Service of web hosting products. This service is most popular and less expensive, attracting freelance webmasters, small businesses, blogs, portfolios and websites with less traffic. With shared hosting, you share resources of the server like Memory, CPU, Storage and Bandwidth along Multiple clients, this can cause your website to load slower than expected. Scopehosts understands these limitations and introduced Business Hosting for E-commerce websites.